The Temi robot is in beta and is open source and I think that's great, because nobody is trying to tell me what to do with it. It's a telepresence robot that stands about three feet tall and rolls around on four wheels. Let's say you want to video chat with your grandma. Temi uses voice recognition to make sure it rings your grandmother, facial recognition to keep your face in frame, and a microphone array to make sure you're heard. Right now, Temi mostly works like one of those telepresence robots. But long-term, Roboteam will open up Temi's Android-based software to developers, who can build all sorts of crazy things into the machine. 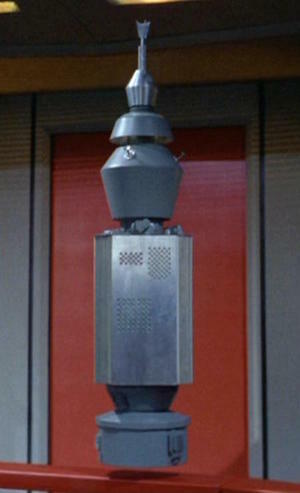 Science fiction readers recall the telepresence robots from Niven and Pournelle's 1981 novel Oath of Fealty, but I was thinking of a somewhat more menacing choice, namely Nomad from The Changeling, a Star Trek episode first shown in 1967. This robot also followed people around, and talked to them, but not in a friendly way. My chosen use for this robot would be to have a "robotic roommate" that could be anyone I chose (from among my friends and acquaintances); pick your roommate or guest for the day! Telepresence robots are pretty cool and take a wide variety of forms. Learn more in this Telepresence Robot Roundup.